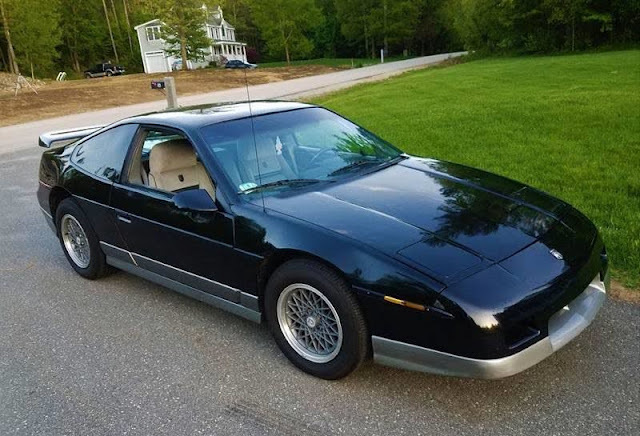 Pontiac introduced its mid-engined Fiero in 1984 - complete with manual steering, skinny tires, parts bin suspension (from Chevette & Citation) and powered by an anemic 2.4 liter inline 4 nicknamed the "Iron Duke". 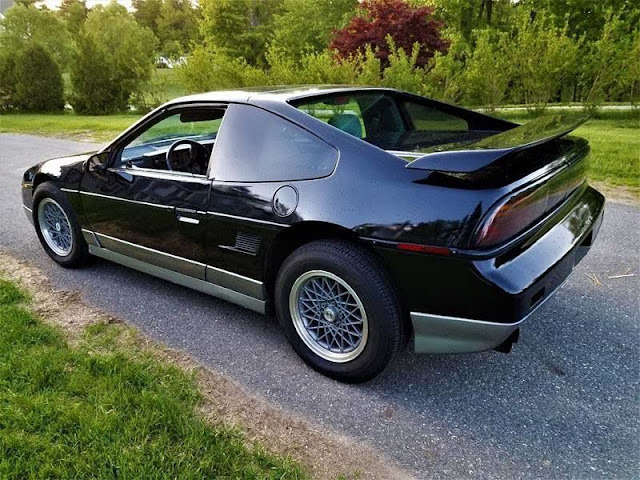 It wasn't until 1988 that the Fiero received a proper suspension setup that it deserved...but this next one is a 1986 GT model which means it includes the fastback styling and a 2.8 liter V6...which is better than a stick in your eye. Find this 1986 Pontiac Fiero GT offered for $4995 in Danville, NH via cargurus.com. Tip from TeleArrow. Tough choice. For $5.00 more I could buy the Subaru Micro Van. At least I could drive that one inside.